Tadashi Tokieda lives in a world in which ordinary objects do extraordinary things. Jars of rice refuse to roll down ramps. Strips of paper slip past solid obstacles. Balls swirling inside a bowl switch direction when more balls join them. 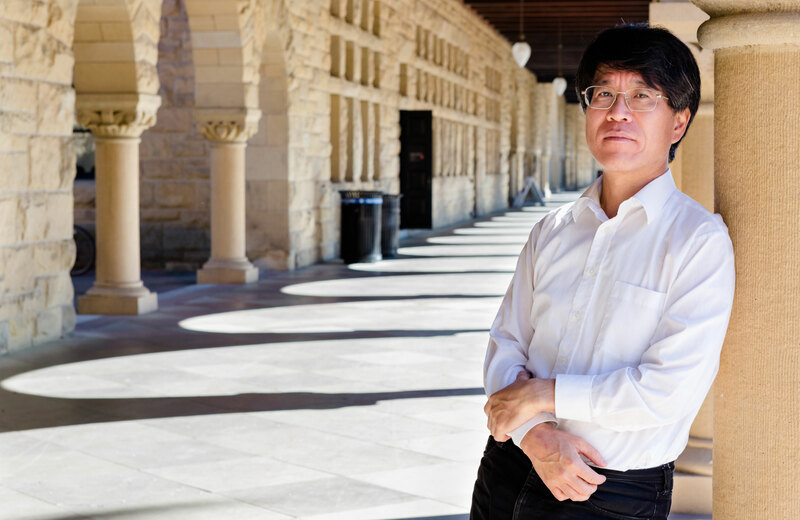 Tokieda, a mathematician at Stanford University, has collected more than 100 of what he calls “toys” — objects from daily life that are easy to make yet exhibit behavior so startling that they often puzzle even physicists. In public lectures and YouTube videos, Tokieda showcases his toys with witty, sparkling commentary, even though English is his seventh language. But his goal is only partly to entertain — it’s also to show people that scientific discoveries are not the exclusive preserve of professional scientists. Tokieda followed an indirect route into mathematics. Growing up in Japan, he started out as an artist and then became a classical philologist (someone who studies and reconstructs ancient languages). 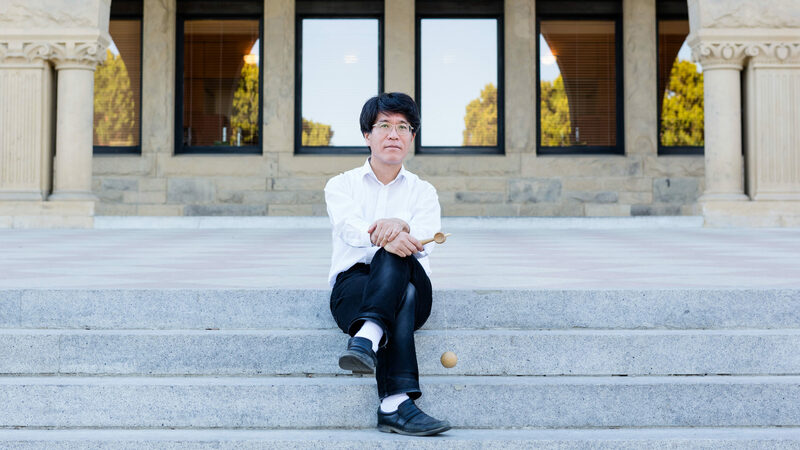 Quanta Magazine talked with Tokieda about his journey into mathematics and toy collecting. The interview has been condensed and edited for clarity. You like to emphasize that the kind of toys for sale in a shop are not toys in your sense of the word. If you can buy something from a toy store, then it’s not a toy for me, because that means that somebody has already designed a certain use for it, and you’re supposed to use it that way. If you buy some sort of very sophisticated electronic toy, the child is kind of a slave to this product. But it’s often the case that the child is completely uninterested in that toy itself but plays endlessly and happily with the wrapping paper and box, because the child by his own initiative and imagination makes those objects interesting. People often confuse my toys with games — puzzles, Rubik’s Cubes and so forth. But these are absolutely outside my interest and competence. I’m not interested in games whose rules were set down by humans. I’m only interested in games set down by nature. You see, puzzles are made by humans to make a situation tricky for other humans to crack. And that’s against my grain. I want all humans to cooperate and find something really good and surprising in nature and just understand it. Nobody should make it any harder. Nobody should put in any extra rules. A child and a scientist can share the same surprise. How did you become a toy collector? I used to do very pure mathematics — symplectic topology. And in those days, I could not possibly share what I was doing with friends and family who are not scientific. 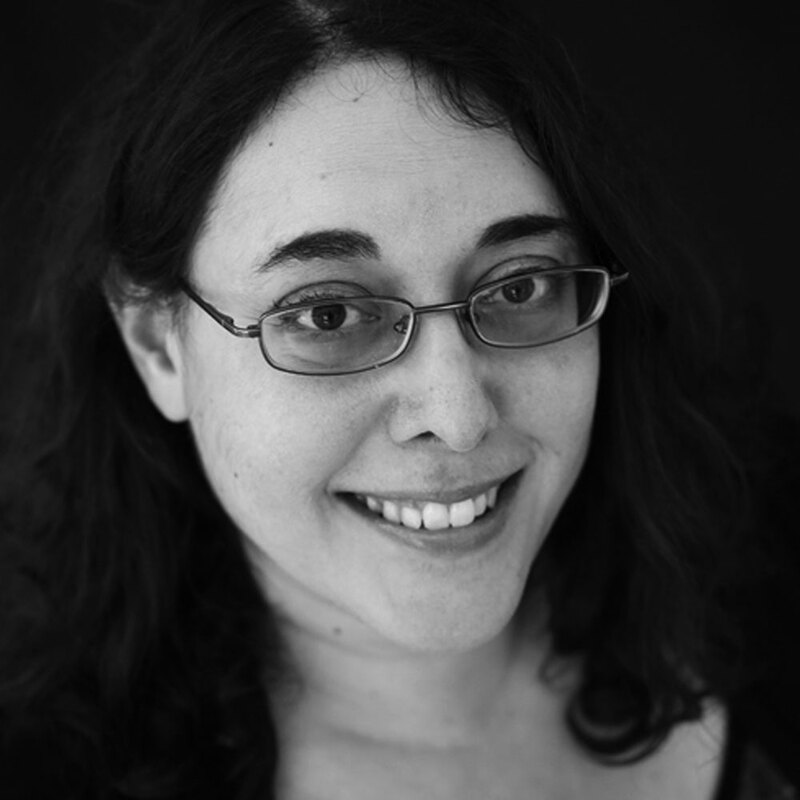 But then when I was a postdoc, I was teaching myself physics and becoming a physicist, and some of it was tangible, especially since I’m often interested in macroscopic phenomena. So I decided that every time I wrote a paper or figured out something, however modest, I would design some tabletop experiment, or toy if you like, that I can produce in front of people in the kitchen, in the garden, and so on — some simple but robust thing that will share some of the fun I had in doing this. And of course, as you can imagine, this was a great success with friends and family. And then it gradually took over, and now it’s the other way around. I look around my daily life and try to find those interesting phenomena. And then I start doing science out of that. But you came upon one of your very first toylike phenomena much earlier in life, right? One that involves gluing together two Möbius strips and then cutting along their center lines, to produce, well, a surprise. I stumbled on it when I was about seven. Anyone who is interested in mathematics plays with Möbius strips in childhood, obviously, and there’s a lot of places in popular literature that tell you that it’s interesting to cut a Möbius strip along the center line. And I was a Japanese boy interested in origami, so it’s very natural for such a boy to do this. But then, between cutting the Möbius strip along the center line, and gluing Möbius strips together and then cutting — well, I wouldn’t call it an inevitable step, but there is a heuristic step there. It’s not that it’s miles off. And once you take that step, you discover a wonderful phenomenon, which is so beautiful and romantic. It’s waiting for you there. 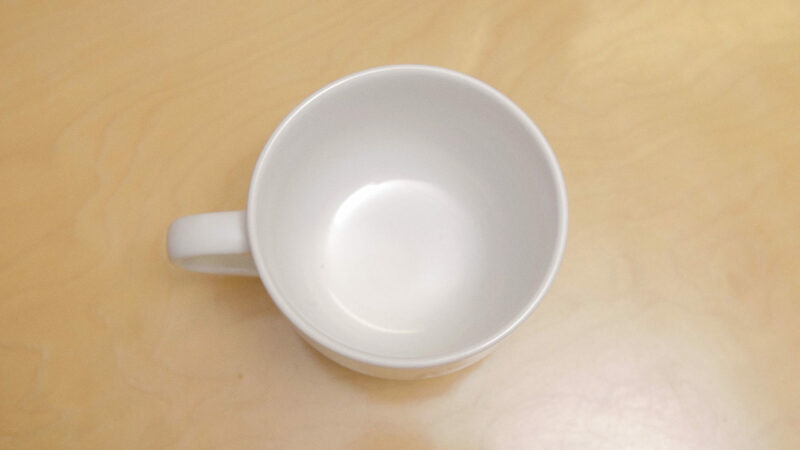 Video: The Stanford mathematician Tadashi Tokieda demonstrates one of his physics “toys”: the curious higher and lower notes you hear when tapping a coffee mug with a spoon. Back then, you were planning to be an artist, right? That’s what I was best at. I was a precocious child. At the age of five, I held an exhibit in a major gallery in Tokyo. The family legend says that some Hawaiian couple wandered into this gallery and saw one of my still life paintings. They wanted to buy it at a high price, but my mother vetoed it. Everyone around me assumed, and I also assumed, that I would become a painter. In some sense, drawing and pictures are still what I care about most. I think as a matter of deep personality, I care more about pictures and drawing than languages, which was my next stage in life. You hit that stage after you moved from Japan to France, entirely on your own, to go to high school at age 14. It turned out to be a real epiphany of my life. In Japan, you know indirectly that other languages and cultures exist, but we are an island, and we don’t see that day to day. We learn something called English, but it’s an academic discipline, right? Can you actually live in that language? Can you fall in and out of love, and have a baby, and see death in that language? Surely not — it’s not precise enough, it’s not rich enough. So you became a philologist. And it wasn’t until later, when you were already a philology lecturer in Tokyo, that you got interested in mathematics, right? What’s the story there? I was finishing my dissertation, and I needed a biography of somebody, so I went to the library. Unfortunately, the biography was not where it was supposed to be, but next to the spot was a biography of Lev Davidovich Landau. He was a Russian physicist who single-handedly created a very powerful school of theoretical physics in Moscow. I started reading this book, because I was going on a train journey and needed something to read. I had never heard of Landau. Indeed, like the rest of the population, I wasn’t even aware that science existed as a human undertaking. What are mathematicians? What are physicists? I had heard these words, but surely, these people don’t exist in real life. And then you went to Oxford to study mathematics. As far as I could see, Oxford was the only place that would allow you to rush through an undergraduate program in two years. I didn’t know English, but a linguist is not afraid to pick up another language. After a while, I said, “This is what I want to do.” I resigned from my job and went to Princeton to get a Ph.D.
It’s an unusual path into mathematics. I don’t think I’ve had an unusual life, but it would be regarded as unusual if you take the standard sort of life people are supposed to have in a certain type of society and try to fit me in it. It’s just a matter of projection, if you see what I mean. If you project on the wrong axis, something looks very complicated. Maybe according to one projection, I have an unusual past. But I don’t think so, because I was living my life day by day in my own way. I never tried to do anything weird — it just happened this way. And now you’re both a mathematician and a collector of toys. Do you see your toys as a way to try to jolt people out of our complacency about how well we understand the ordinary world around us? On the contrary — I’m trying to jolt myself out of my complacency. When I share, I just want to share with people. I hope that they’ll like it, but I’m not trying to educate them, and I don’t think people are complacent. People are struggling in their own ways and making efforts and trying to improve. Who am I to jolt them out of complacency? But I like to be surprised, and I like to be proved wrong. Not in public, because that’s humiliating. But in private, I really like to be proved wrong, because that means that afterward, if I come to terms with it when the dust settles, I am ever so slightly smarter than before, and I feel better that way. How do you find your toys? You’ve said that it involves looking at the world with the eyes of a child. Sometimes adults have a regrettable tendency to be interested only in things that are already labeled by other adults as interesting. Whereas if you come a little fresher, and a little more naive, you can look all over the place, whether it’s labeled or not, and find your own surprises. So, when I’m washing my hands with my child, I might notice that if you open a faucet very thinly — not so that it drips, but a thin, steady stream of water — and you lift your finger gradually toward the faucet, you can actually wrinkle the water stream. It’s really fantastic. You can see beadlike wrinkles. It turns out that this can be explained beautifully by surface tension. And this was known to some people, but 99.9% of the world population hasn’t seen this wrinkling of the water. So it’s a delightful thing. You don’t want to let go of that feeling of surprise. And so that’s what you do. You just look around. And sometimes you feel tired, or you feel dizzy, or you feel preoccupied by other things, and you cannot do this. But you’re not always tired and you’re not always preoccupied. In those moments, you can find lots of wonderful things. Do you find that if a physical phenomenon surprises you, that’s a pretty reliable guide that it will surprise other people? One thing that is a bit disconcerting is that nowadays, more and more people spend so much time in virtual reality, where anything happens, that then no one is surprised by much in the physical world. That can be a sort of break point between their surprise and my surprise. Correction: This article was revised on November 29, 2018, to correct an anecdote about the physicist Lev Davidovich Landau. Landau asked his son for the indefinite integral of dx over sin x, not the definite integral.